Jan is a short story writer and novelist born in Raleigh, North Carolina in 1925. She studied creative writing with Hiram Haydn at Woman's College (now the University of North Carolina at Greensboro, or UNCG), from which she graduated in 1945. 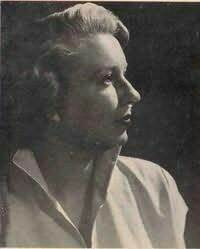 From 1954 to 1960 she published Bride of the MacHugh, My Lord Monleigh, and My Love, My Enemy. She also published many short stories in magazines, from pulp to slick. She returned to UNC-G and secured her master's degree in Fine Arts in 1964, submitting her fourth novel The Growing Season as her thesis.